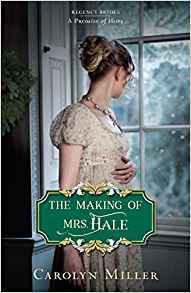 The Making of Mrs. Hale is the third book in the Promise of Hope series. One of my favorite genres is historical fiction and within that Regency is special. So when I discovered Carolyn Miller wrote in this time period, I just had to try her books. I immediately fell in love with her stories and the people who inhabit them. I have devoured each one as they came out. This one is exceptionally good. Hope resonates through this book, even in the midst of hopeless situations. A hasty marriage finds Julia and Major Thomas Hale at odds with each other, mostly because Thomas has gone off on some business and has not returned, putting Julia in a precarious position. Julia has been left to fend for herself. She has run out of funds and slinks back home to London, only to find her brother and her mother gone from their residence. Trouble seems to follow Thomas. Some might find this unrealistic, but I know of several people who fit the adage: If he didn’t have bad luck, he would have no luck at all. Thomas has landed in a Spanish prison, thinking he has left Julia provided for. There is much intrigue as the story plays out. Carolyn Miller shows family loyalty but sometimes at the cost of showing little mercy. Several characters take a journey of faith as they learn to forgive, repent and find their bearings and, yes, hope once more. One of the best parts was the clear-cut message of the Gospel. This was done in an authentic way as people seek the Will of God and as others help to water the faith that is there. Hard subjects such as imprisonment, poverty, and infidelity are handled with finesse and grace. It is nice to see old friends from Carolyn’s other books dropping by and having a part in the story, too. If you haven’t tried a book by Carolyn Miller, I highly recommend you do. Note: See Winnie and Susan's Reviews too! 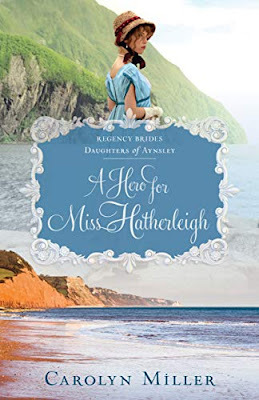 A Hero for Miss Hatherleigh is a thoroughly enjoyable Regency book and the first in the Daughters of Aynsley series. The Regency period is one of my favorites to immerse myself in, and Carolyn Miller writes this genre admirably. What intrigued me was the fascination with archeology of the time period. It was well-represented in this tale. I'm about to get started on catching up! Thanks to audiobooks! 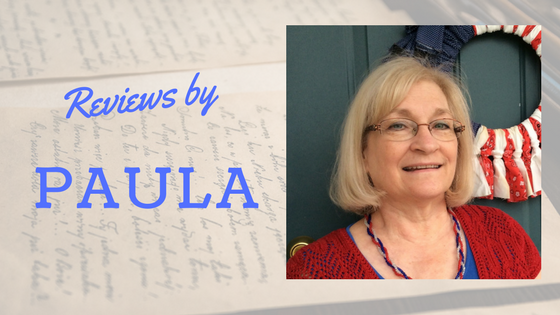 Thanks for sharing your reviews, Paula! Thanks for commenting, Carolyn! We appreciate it. And yes, Paula is amazing!